Come into the Manor as a 19th-century house guest would have done. The Red Drawing Room is the central room of the house, connecting the main door with the formal gardens to the south. 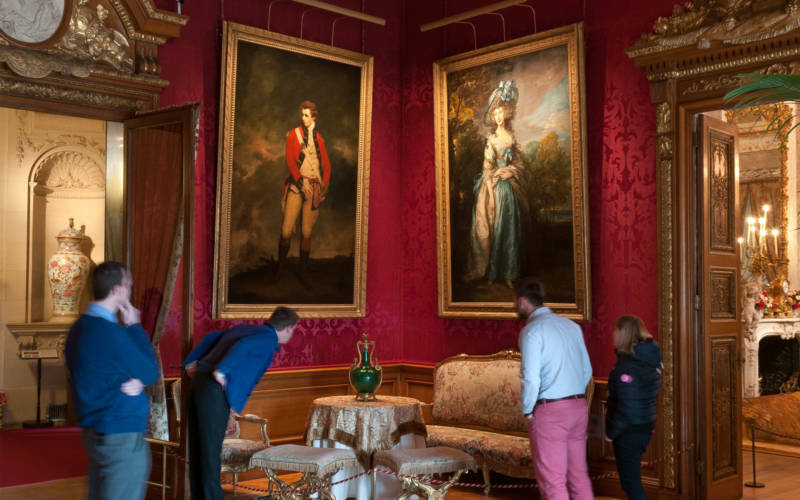 Baron Ferdinand’s guests congregated there before going into dinner in the adjoining Dining Room. 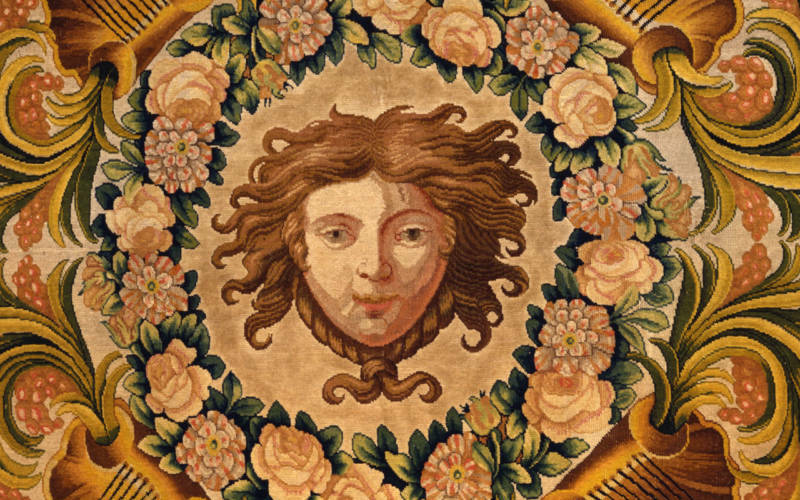 For a second season, since 2016, the 17th -century Savonnerie carpet, commissioned by Louis XIV, has been substituted with a reproduction, allowing visitors to circulate more freely in the room and to see paintings and furniture close-up. New blinds bring light and the landscape back into the room while filtering out UV radiation. 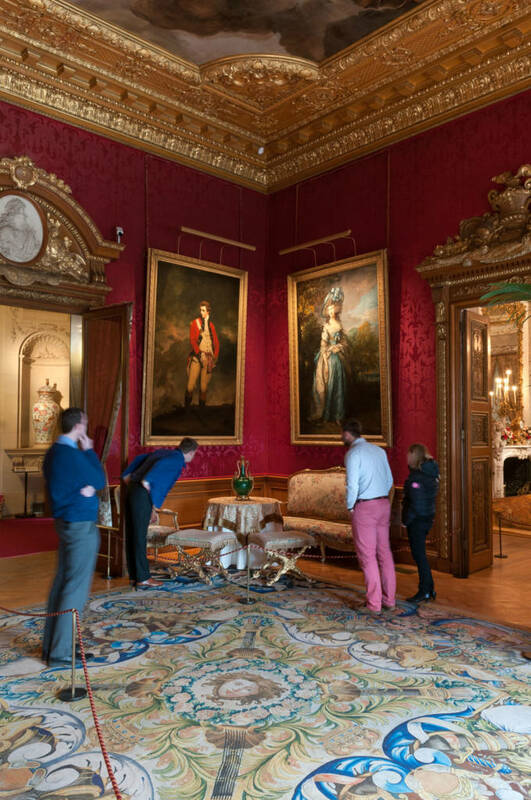 These developments in conservation technology bring the interiors of Waddesdon Manor back to life without damaging the precious textiles and light-sensitive materials. 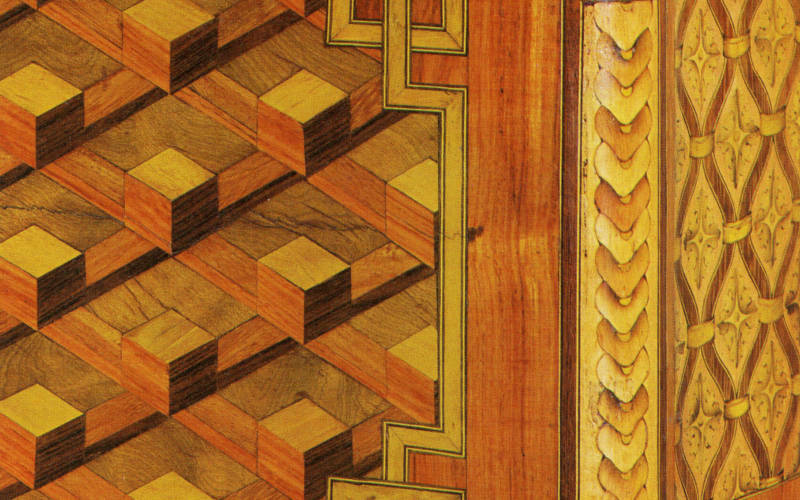 Elements of Baron Ferdinand’s original arrangement of the room will be reinstated, including a folding screen painted with monkey scenes, an important set of tapestry seat furniture and a fireplace full of ferns. 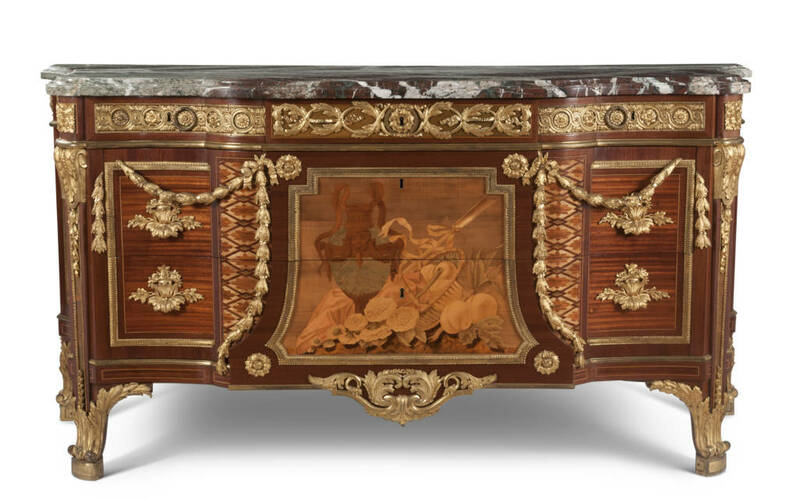 Two chest of drawers by the French royal cabinetmaker Jean-Henri Riesener (1734-1806) will also make their return to the Red Drawing Room after having been in an exhibition last year.